Nice. I hope to see one of those crystals in person some day. 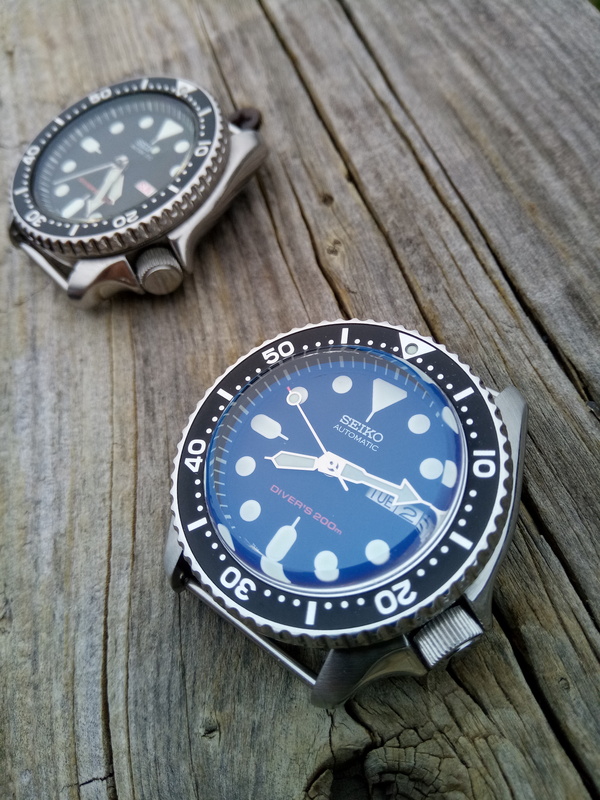 How proud does it stand from the bezel? Cool crystal. I need to try one. maybe 1.5mm. what I like about it is it isn't domed. so no distortion except on the sides of it. it does pretty much eliminate the use of the chapter ring though due to the side distortion.. Very nice. 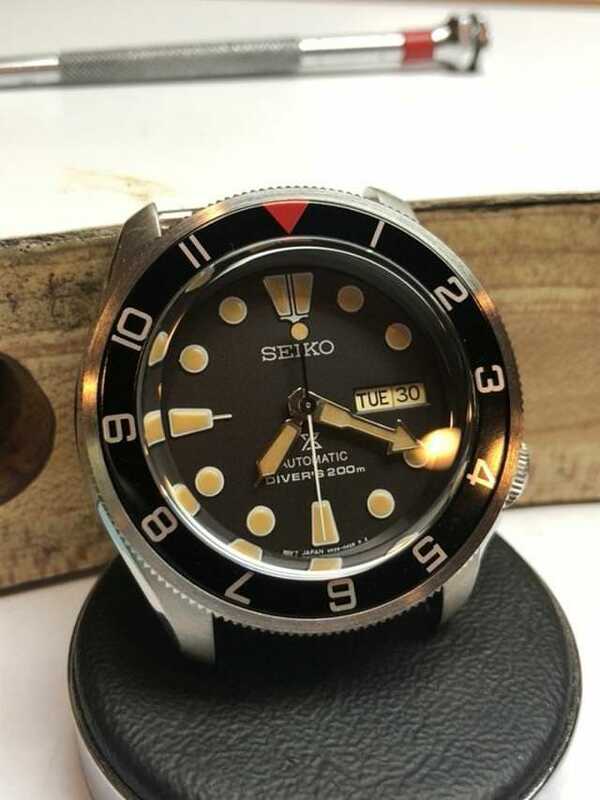 I have an skx tophat on the way. Mods are fun. How does it fit? 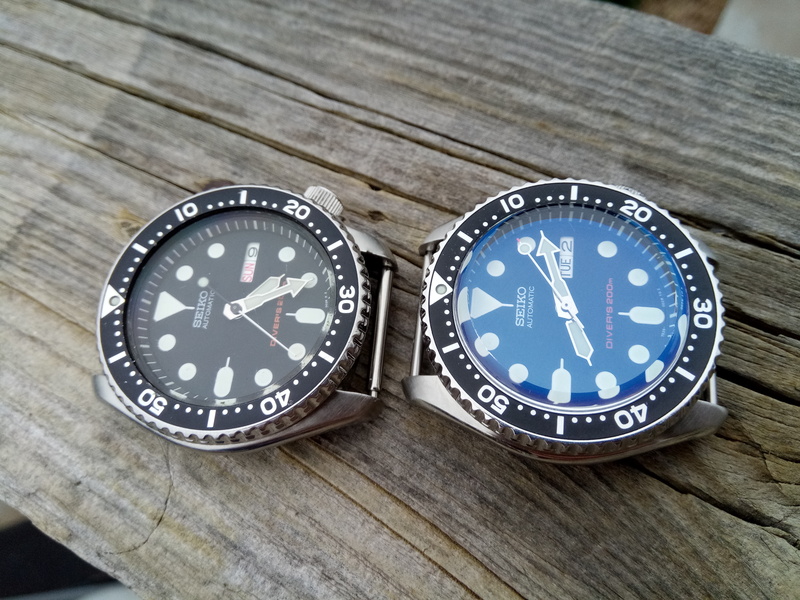 I've read that the Crystaltimes crystals are often tough to install due the critical dimensions being slightly different than the Seiko crystals. Not to bad. 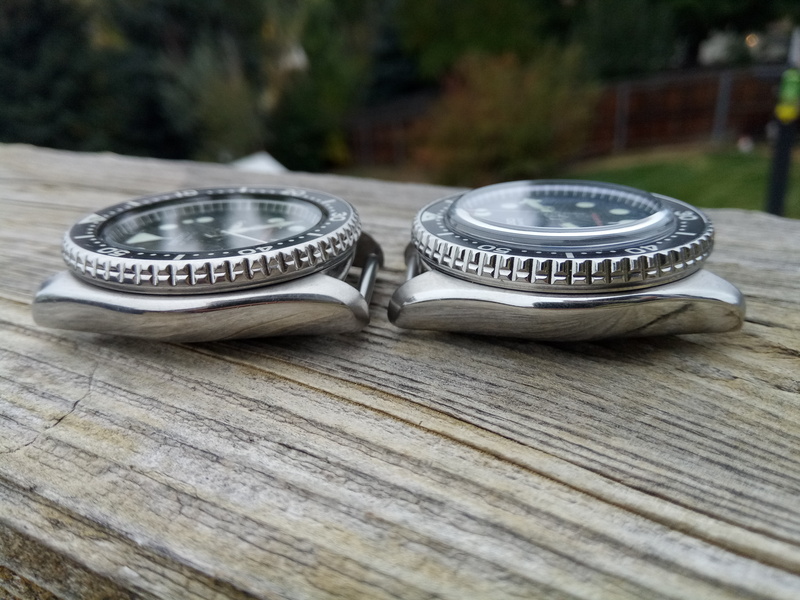 You have to run a piece of sandpaper slightly on the inside of the bezel insert to sit doesn't rub on the crystal. Last edited by toxicavenger on Wed Oct 03, 2018 7:18 am, edited 1 time in total. They are. But it is a snug fit. Thanks bro, I like it. Last edited by toxicavenger on Mon Oct 08, 2018 11:21 am, edited 1 time in total. I know the tophat is a much thicker crystal. Some people have complained about the added weight. 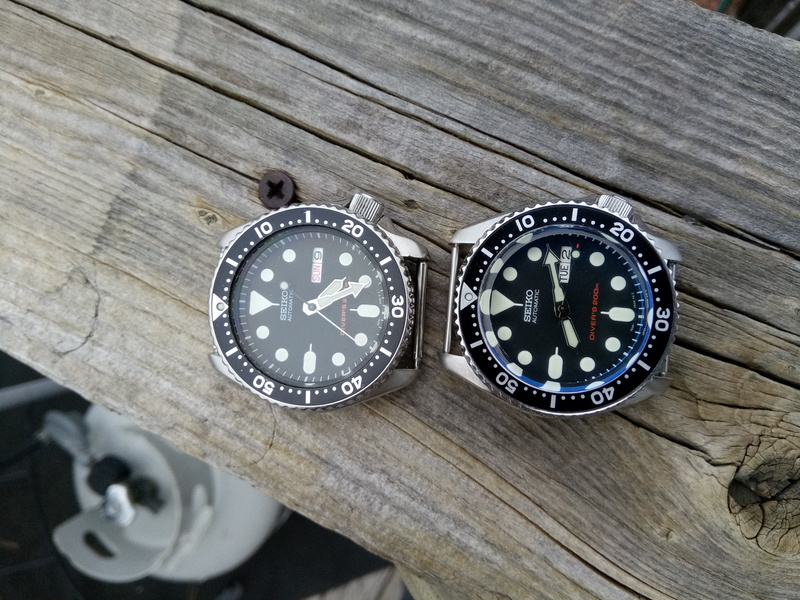 I wonder what the actual difference in weight is between the mod and stock skx. This looks pretty cool. 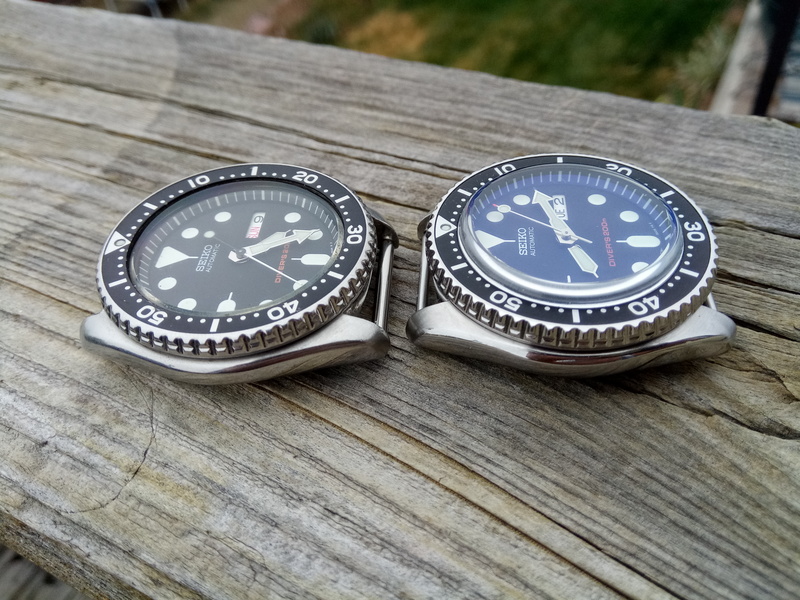 The combination of the crystal and second hand look a bit vintage. Nice. Looks like a fun mod, congrats Terry. One thing I'd like to see in the future is non-blueish AR coated crystals. stock is 82 grams, with crystal is 90 grams. They make a clear ar already. 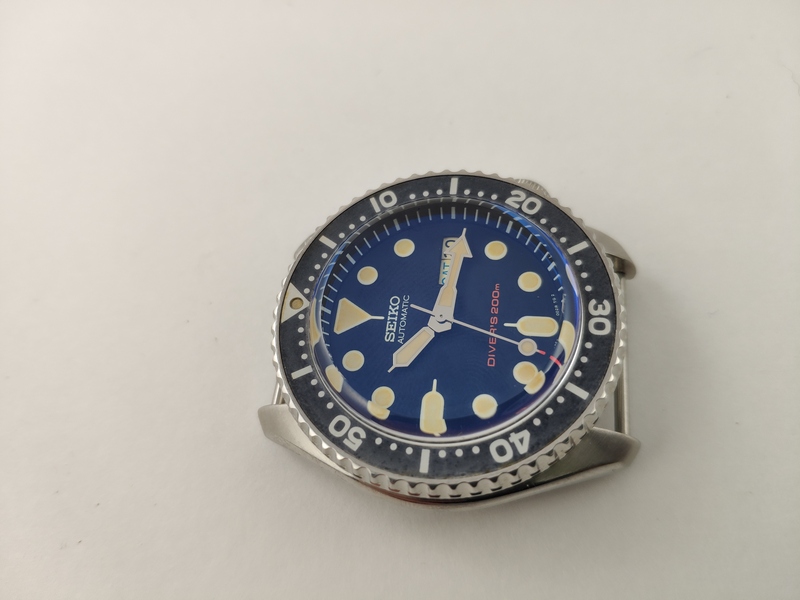 Crystal Times sent me the wrong one. I actually wanted no ar. On a domed crystal though I wouldn't go without ar. It is a must. But a flat sapphire crystal doesn't need ar at all. They look stock. Yeah, no AR looks great on these. I had the no AR tophat on my SRP mod and it was perfect. Although most people seem to think you need AR on a dome, the Crepas Tornado with the extremely domed sapphire had no AR and I loved it. Not much of a difference at all. oh ok, so AR = blue? Back in the day the only option available for aftermarket crystals was blue ar. Now I think there is a clear, green and purple if I am not mistaken. That looks great! Do you know anything about soaking the dial and hands in the coffee? I am planning to try. 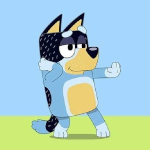 I did not do this mod. But I do know you can do this mod with watercolors. I sent mine to Terry's guy. He just sent me a quick pic.